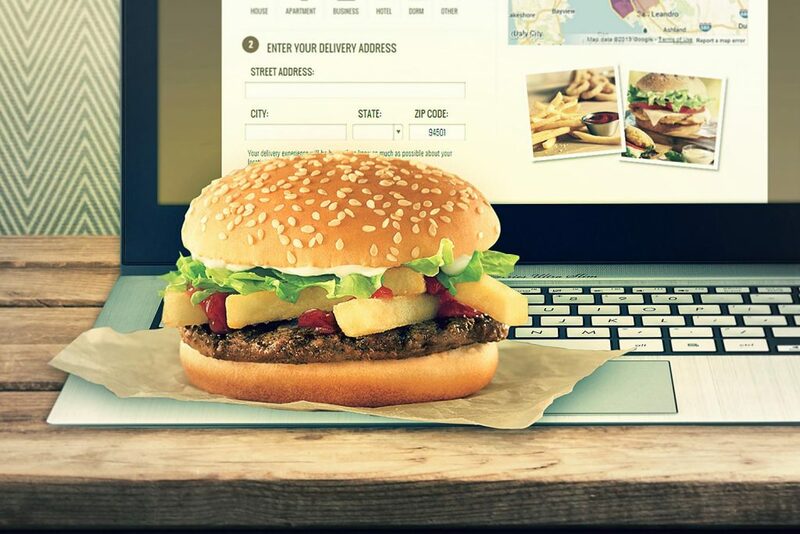 Nowadays, the online food ordering is in vogue. From restaurants to local food shops, almost all store owners are taking refuge to the system of online ordering for some reasons. Firstly, they earn more profits thanks to the variety of services, both online and offline food services. Second, they are successful in pleasing their customers with their variable service. Third, it brings more competitive advantages, when customers have to choose a restaurant for lunch, they will prefer to the one having an online ordering service. There is the fact that more and more people tend to order foods for lunch and dinner online because they are too busy or lazy to go to restaurants or to cook at home. Typically, they want to click on the food they like and receive the order within a stipulated time, so your shop has to deliver as soon as possible. So how could you do that? How could you ensure speedy delivery for such hungry eaters in that case? Talking about flowers often reminds us about freshness and beauty. Some people go to a flowers shop so they can choose fresh and beautiful flowers for gifts. However, there are others who are too busy to go to flower shops directly; they have to surf the Internet and order flowers through mobile devices. Of course, there is nothing better than the flowers they ordered will be delivered on time and to exact receivers. Here we have an issue: how to make sure that the ordered flowers can be delivered at the precise time? We often buy gifts for holidays or on special occasions like a birthday. We want to surprise the receivers right at the moment they get these gifts. So how can you meet that demand? Of course, it needs on-time order delivery! On-time order delivery plays a vital role in e-commerce, especially in Foods, Flowers and Gifts fields. Why? Because of the real-life cases presented above, the point of those problems is how to deliver these items on time for your customers. Foods need to be delivered on time to preserve the taste and fragrance. If not, it can cause dissatisfaction, and you may end up losing your potential customers. In the case of flower delivery, if the order is postponed and the flowers lose the freshness, your customers will be disappointed and may not trust your shop service anymore. What if the surprise gifts that customer ordered arrives late? You will certainly displease your customers. So what are the reasons for this late delivery? Because of the traffic jam, private reasons or just due to the miscommunication between customers and shop owners? If your site is built by Magento platform, we can solve these problems by implementing a very simple tool: Order Delivery Date extension. Order Delivery Date helps both customers and shop owners to be clearer than ever about their delivery agreement by adding some delivery date options in Magento Shipping Method or Shipping Address that customers can choose. Furthermore, this module helps admin specify timing issues in delivery to customers with most details in an easy way. Moreover, for sure, it will bring better customer services to your customers and accelerate your business operation.